To donate, simply fill in the amount and hit the button! You'll be taken to a 100% secure shopping cart where the transaction gets completed (you can pay via credit card or PayPal). Note: Your credit card will be charged by Big Brothers Big Sisters of Australia in Australian $. If you would prefer to donate via mail, or with a cheque or money order, simply click here for the printable donation form. 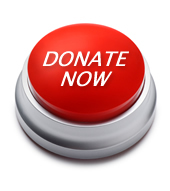 Click here for current list of donors and donations. Not every child has the support and help they need to learn the right life skills. And that can make life tough. Very tough. We've all seen children struggle because they lack strong role models. In this day and age where something like 50% of kids grown up in a single parent family the incidence of kids not being able to deal with life's issues has grown enormously. 78% have experimented with marijuana. A lot of the time the only thing these kids need is a chance. An opportunity like the one that Father Riley's organisation provides - support, education and the opportunity to learn some living skills. So if we - you, Jack and myself - can play a small role in that by supporting this ride, and raise some much needed funds for the amazing work of Big Brothers Big Sisters of Australia, then that's a pretty good thing to do.